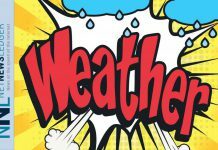 THUNDER BAY – WEATHER – Environment Canada has ended all weather alerts for the City of Thunder Bay. 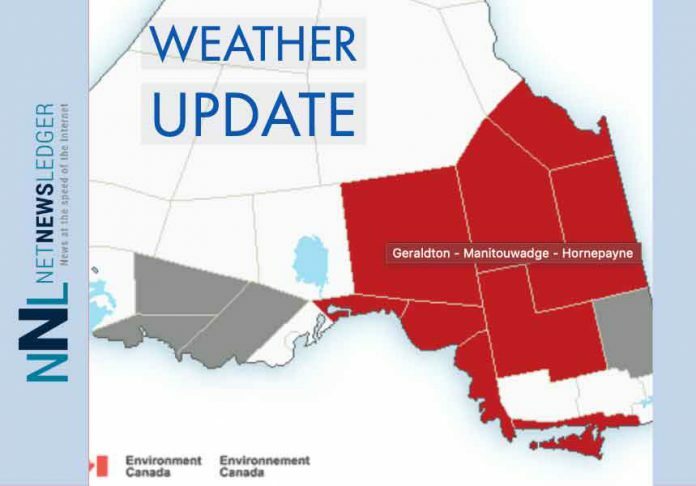 There are special weather statements in effect for the Ignace – English River, Seine River – Mine Centre, Atikokan, Sebandowan, Upsala and Raith areas. A Winter Storm Warning remains in effect for the Marathon – Schrieber region and areas along the eastern side of Lake Superior. 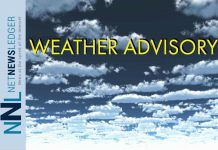 For the City of Thunder Bay, for Friday, Environment Canada says to expect periods of light snow and local blowing snow ending in the morning then mainly cloudy with 40 percent chance of flurries. Winds northwest 30 km/h gusting to 50. A daytime high of minus 17 is expected. The wind chill will be minus 34 in the morning and minus 27 in the afternoon. All RURAL Lakehead Public Schools closed today, Friday, February 8, due to road conditions. Nor’wester View and Five Mile OPEN. Busing for RURAL secondary school students are also cancelled. Many city streets are blocked with parked vehicles impeding the travel path for buses to get through this morning. The drivers are doing their best to service as many stops as possible, but be aware that not all stops can be if they are not safe and accessible. This winter storm will bring a large area of snow to Northeastern Ontario and areas North of Superior tonight and Friday. Total snowfall amounts will reach 25 to 30 cm in most areas by Friday morning. Locally higher amounts near 40 cm are possible in one or two localities. Strong northeast to north winds will whip up freshly fallen snow resulting in very low visibility in blowing snow, especially in exposed areas. 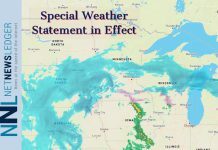 Consider postponing non-essential travel until conditions improve. Surfaces such as highways, roads, walkways and parking lots may become difficult to navigate due to accumulating snow. Visibility will be suddenly reduced to near zero at times in heavy snow and blowing snow. Road closures are possible. Snow will continue tonight with total amounts of 10 to 15 cm expected. The snow will taper to scattered flurries Friday morning. Poor winter driving conditions continue as untreated roads will be snow covered and possibly slippery.